AUSTIN, Texas (March 27, 2014)– Circuit of The Americas (COTA)and motorcycle racing legend Kevin Schwantz have amicably settled their legal differences and have reached a new agreement to collaboratively promote motorcycling racing at the Austin circuit and across the United States. 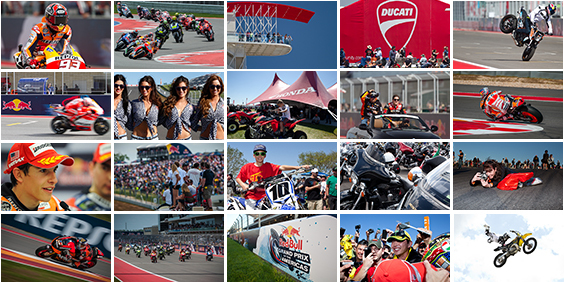 Schwantz will serve as an official ambassador for COTA and work to promote the upcoming Red Bull Grand Prix of The Americas MotoGP™event set for April 11-13, 2014. Donington Park is getting ready to welcome motorcycling legend and 1993 500cc World Champion Kevin Schwantz to the circuit, as he joins in the celebrations at the Classic Motorcycle Festival this August. Schwantz, a long-time Suzuki legend, won a number of Grand Prix on Donington Park’s world-famous track, and is especially looking forward to returning to ride at the scene of so many great victories. Bob Adams, Circuit Manager at Donington Park, added: “This is a great coup for Donington Park and we can’t wait to welcome Kevin to the Classic Motorcycle Festival. It’s 20 years since Kevin’s last win here, and with the help of Team Classic Suzuki owner Steve Wheatman, we’re even going to reunite Kevin with his favoured 1994 XR84 Lucky Strike Suzuki – no 1 plate." As part of his visit to Donington Park Kevin will also hold autograph sessions and ‘An evening with Kevin Schwantz’ is also due to take place in the Donington Grand Prix Collection. Further details are set to be released in the near future.